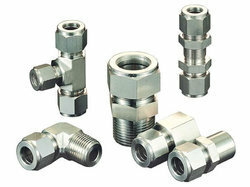 Providing you the best range of pipe fittings for petrochemical industry with effective & timely delivery. Ours is a trusted name in the field that procures Pipe Fittings for Petrochemical Industry from our reliable and dependable vendors. These are manufactured utilizing high-grade stainless steel procured from certified and trusted vendors of the market.